In 2004 broadsheet editor Mark Pirie published his first publication using The Night Press imprint. 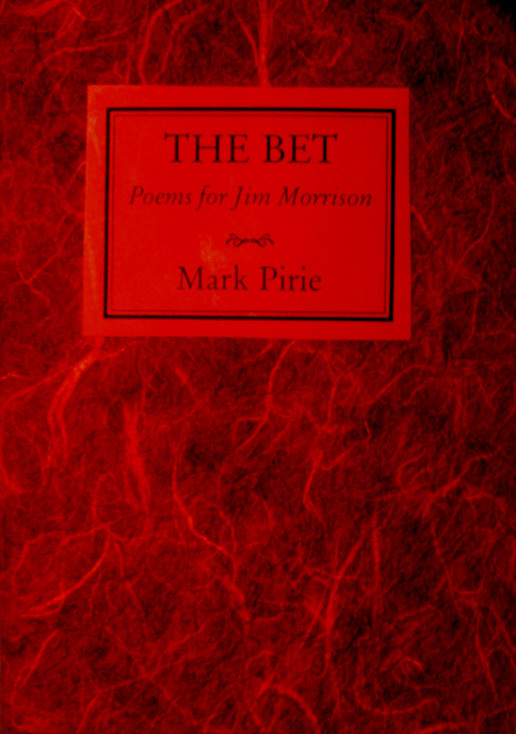 The book, The Bet, was a tribute to the late American rock singer, Jim Morrison, who had been an influence on Pirie’s early work. The poems date from 1992-1993, written between the ages of 18 and 19 years. Mark was doing a tribute to The Doors for his 2004 Winter Readings poetry series at Tupelo bar in Wellington when the book was printed. The book was hand-made and only a limited number of copies were printed for his friends who had an interest in The Doors’ music and Jim Morrison’s lyrics and poetry. A drawing of Jim by Michael O’Leary appears in the book. Most of the allusions in Pirie’s poems are to specific Morrison lyrics and poems and are best enjoyed by those already acquainted with Morrison’s work. A printed copy of the book is held in the Alexander Turnbull Library in Wellington, New Zealand. 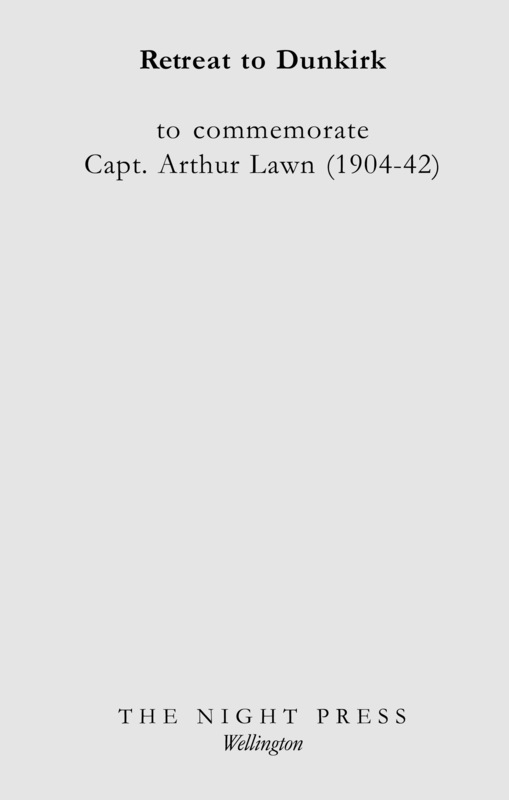 In 2013, a small pamphlet, Retreat to Dunkirk: An Officer’s Account, was printed on Anzac Day 2013 to commemorate Captain Arthur Lawn who died in World War II. Lawn was the great uncle of The Night Press editor Mark Pirie. The pamphlet includes Lawn’s letter home about the Dunkirk retreat and a poem by the editor, ‘The Snow Goose’ for Paul Gallico. 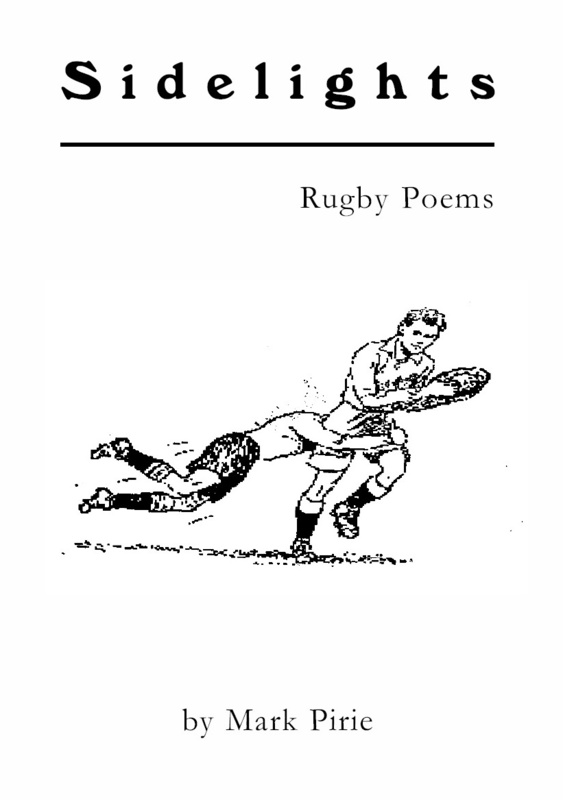 In 2013, a small chapbook of rugby poems was published, Sidelights. Featuring poems about the All Blacks, Super Rugby, and the author’s rugby family, the book was dedicated to the author’s rugby playing Grandpa Tommy Lawn. The cover was printed letterpress by Tony King at The Works, Cobblestones Museum, Greytown, Wairarapa, New Zealand. 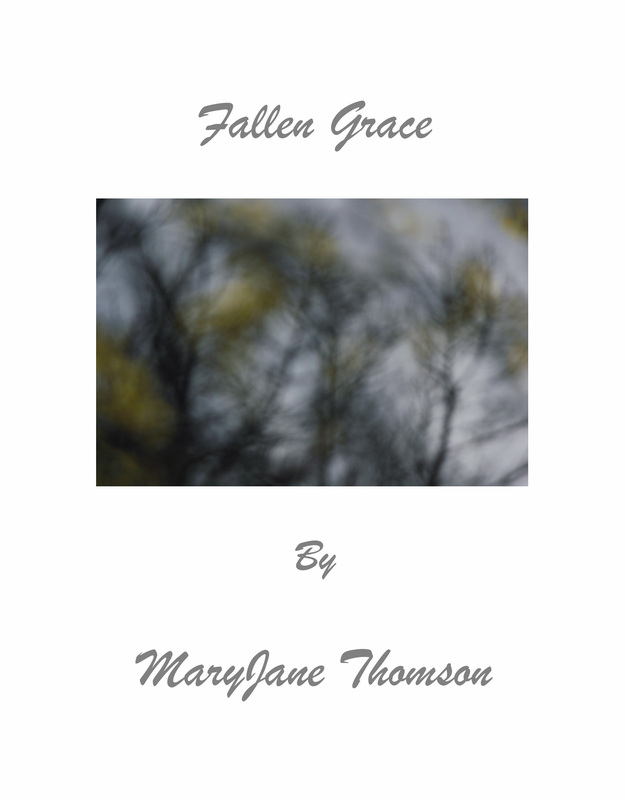 In 2014, The Night Press published the debut collection of poems, Fallen Grace, by Wellington writer and artist, Mary Jane Thomson. The book comprises a sequence of 24 poems and several of the author’s own photographs (including the cover image) selected and arranged by The Night Press/HeadworX editor Mark Pirie. These form a selection of her latest poems. A printed copy of the book will be held by the Alexander Turnbull Library in Wellington, New Zealand. 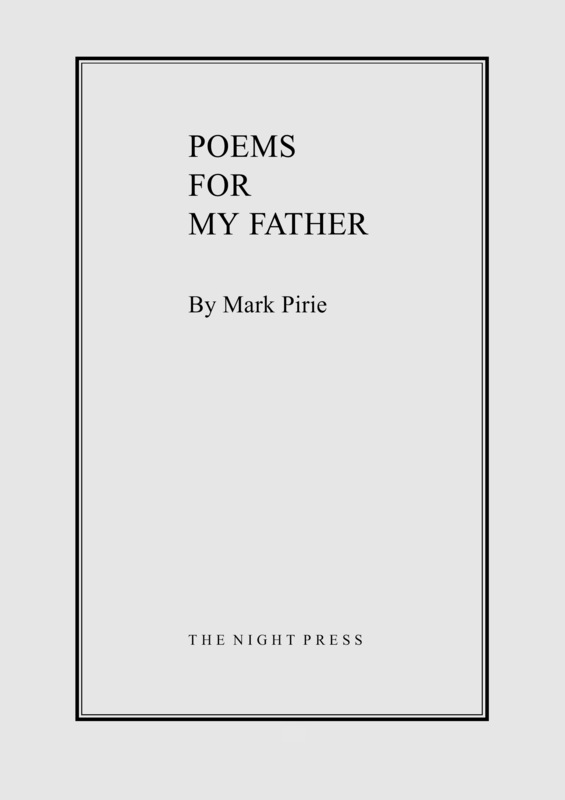 In 2014, The Night Press published a collection of Mark Pirie’s poems for his father. Poems for my Father is a collection of Mark Pirie’s poems for, concerning, or relating to his father. The poems form a sequence written between 1993 and 2008 and cover a range of subjects from childhood travels to family portraits and reunions. Leo the lion, American President George Washington, poets Allen Curnow and James K Baxter, and the Great Diviner of the Pyramid in Uxmal, Mexico, form unlikely starting points for Mark Pirie’s experiences. His father is ever in the picture. 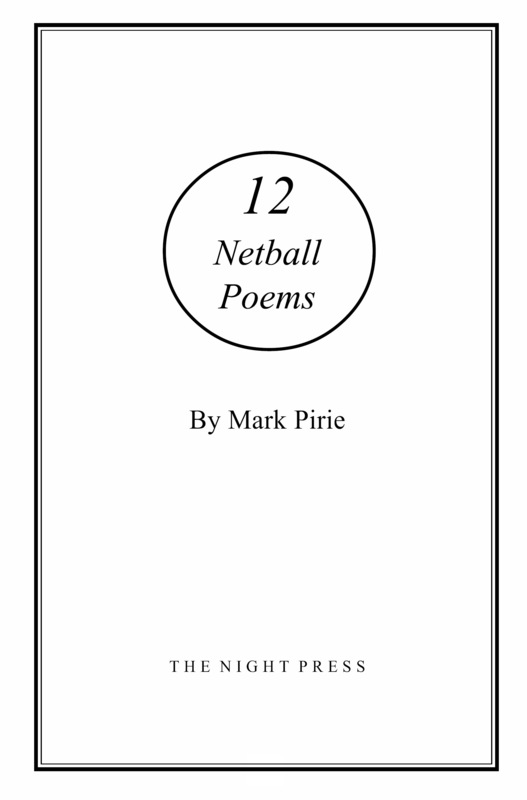 In 2015, The Night Press published a collection of Mark Pirie’s netball poems. a sequence of poems ‘Five Silver Ferns Portraits’ in honour of some of New Zealand’s finest netball players. An addenda by Napier poet, former scientist and politician Bill Sutton celebrates Irene van Dyk, a Silver Fern great.